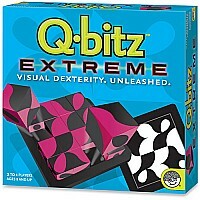 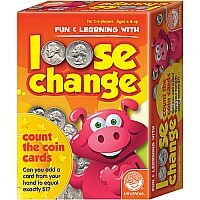 Bring the fun and learning of Q-Bitz to a younger audience. 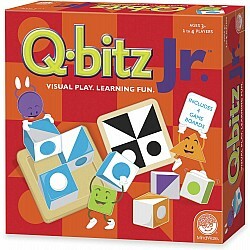 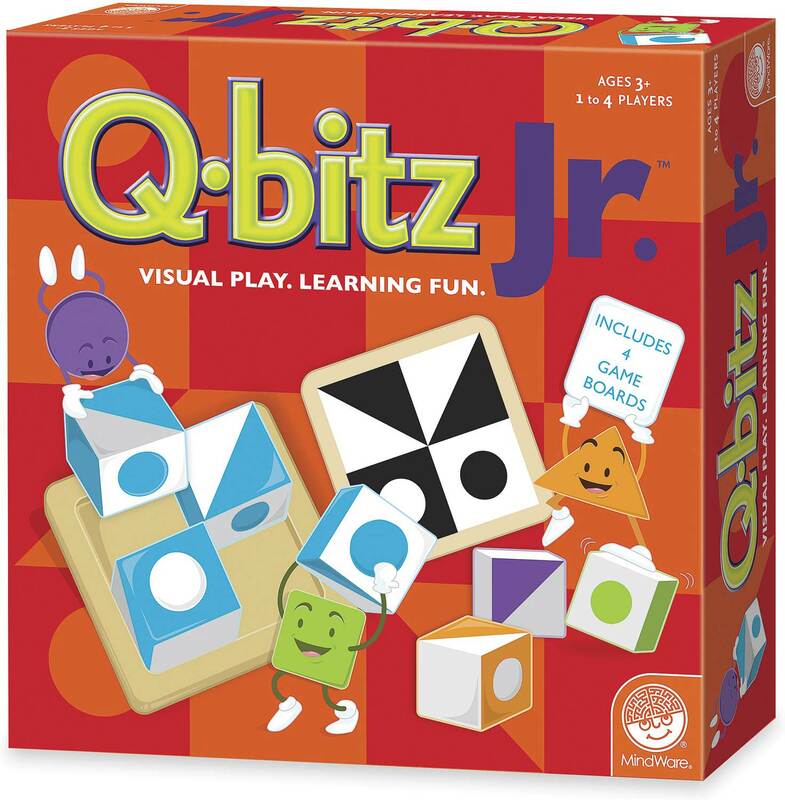 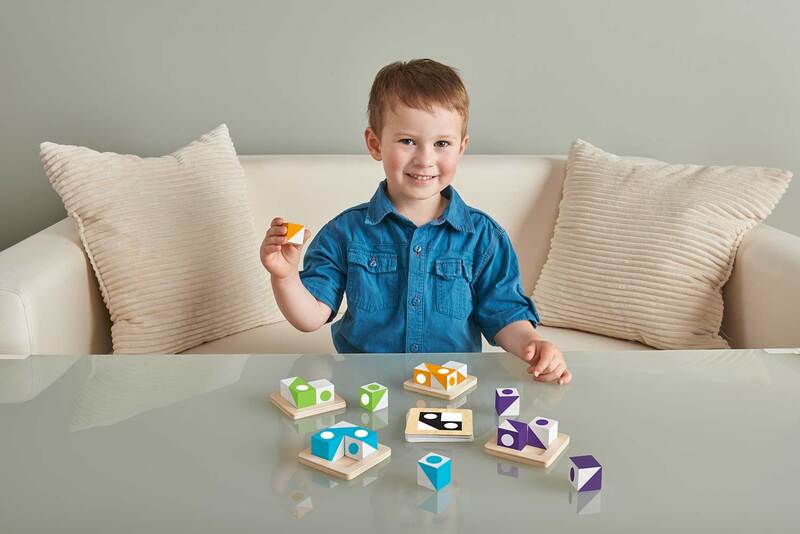 Q-Bitz Jr. is a wonderful way to introduce children to pattern matching, spatial reasoning, problem solving, visualization and more. 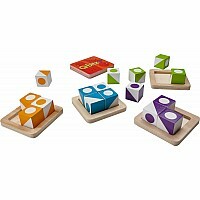 Gameplay is simple, each player has a set of 4 same-colored cubes and a sturdy wooden tray. When someone turns over a pattern card, players race to try to recreate the pattern with their set of cubes. 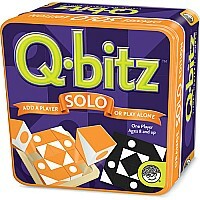 The first player to match the pattern wins the card. 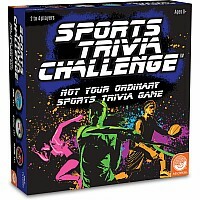 The player with the most cards after six rounds wins the game. 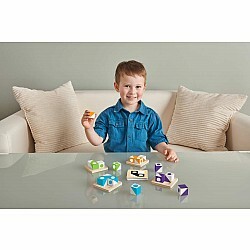 Measures approximately: 8.60 x 8.60 x 2.40 inches..